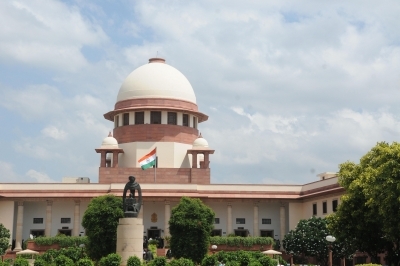 New Delhi, Feb 14 (IANS) A two-judge bench of the Supreme Court on Thursday delivered a split verdict on the powers of the Delhi government, with the issue now being referred to a larger bench. While Justice A.K. Sikri said transfers and postings of Joint Secretaries and officers above will be in the domain of Lieutenant Governor; for those below them, the recommendation will be routed through the Council of Ministers of the elected government in Delhi. However, Justice Ashok Bhushan differed saying that the Delhi government has no control over appointments. Transfer and appointment of "higher" officers will rest with the Centre, he added. The Centre alone will control the Anti-Corruption Bureau and can only pass orders under the Commission of Inquiry Act. The bench also said that the Delhi government will have the powers to appoint Special Public Prosecutor, and decide the minimum rate of the agricultural land in the national capital. The power to regulate electricity will also rest with the Delhi government. Justice Sikri speaking for the bench on the issues except services said that there has to be mutual respect between the Delhi government and the Lieutenant Governor as it was an essential part of good governance. Saying that both -- the LG and the Delhi government -- must realise that they are there to serve the people. The court said that LG will not routinely differ with Delhi government. He said that on the issues where differences are fundamental backed by cogent reasons, the LG would refer the matter to the President for a decision which would be binding. The court also made it clear that the LG would not unduly delay referring the matter to the President where there is a fundamental difference of opinion with the Delhi government.